Offering you a complete choice of products which include anabond ecoseal. Anabond Ecoseal is a single component water based adhesive which is based on very special type of synthetic resin, with additives, tackyfier and fine grade mineral fillers. Anabond Ecoseal is compatible with most of substrates. 1. As a insulation adhesive for the bonding of galvanised metal to NBR, nitrile foam & EPDM Insulation in HVAC industries. 2. As a floor adhesive for the bonding of Concrete to Vinyl sheet, vinyl coverings , Vinyl tiles. 3. As a Construction adhesive for the bonding of Fly ash concrete to magnesium Alumnina board . 4. As a waterbased carpet adhesive in the interior & decorative application. 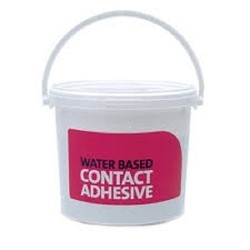 Looking for Water based Adhesive ?